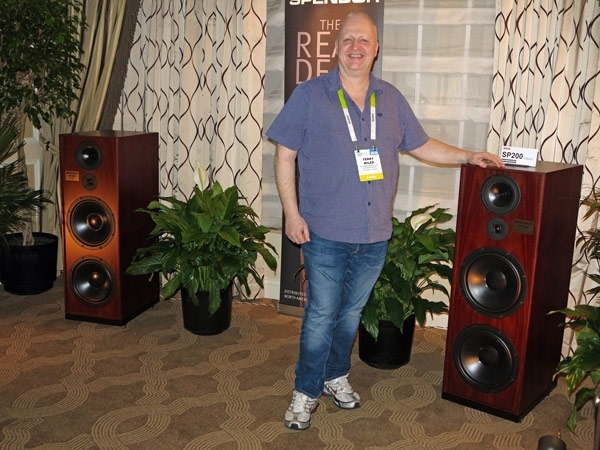 None other than designer Terry Miles was on hand to introduce Spendor's "all-new top-of-line Spendor Classic" 3-way loudspeaker ($24,995/pair). 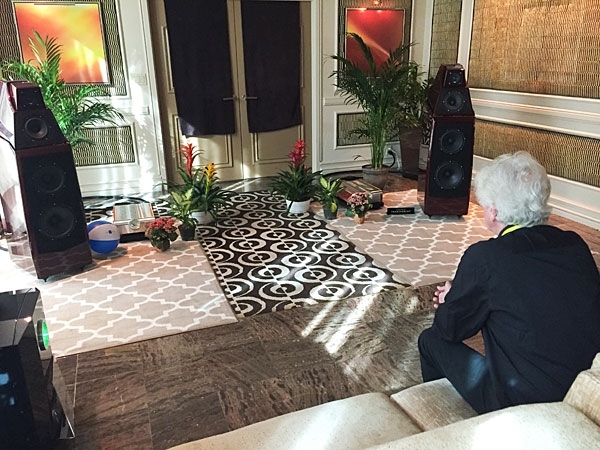 Good sound was a notable achievement given that the new Genesis Forte loudspeakers ($140,000/pair) had been shipped to Las Vegas a mere two days after assembly, and had only three days of break-in on them. 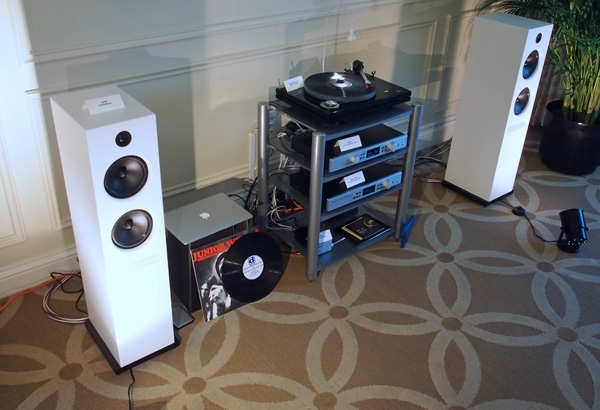 Music Hall: Long Live Black Discs! 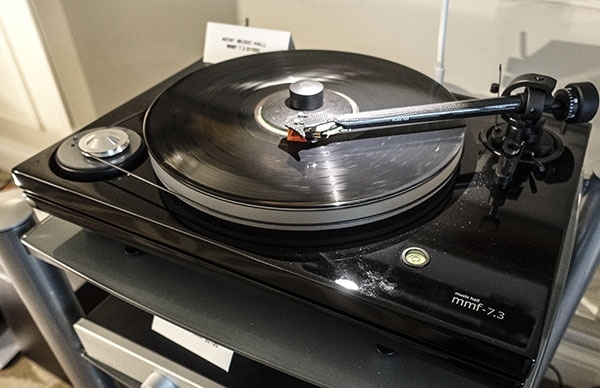 More than a decade ago, I reviewed Music Hall's first turntable, and not only did it play way better than it should for its price; but it felt distinctly like what would surely become the forefather of long bloodline of musical, high-value record players; and it did. The newest, youngest, and most attractive of them all, the MMF 7.3 looks like a new stud breeding horse and a super value for it $1595 price. 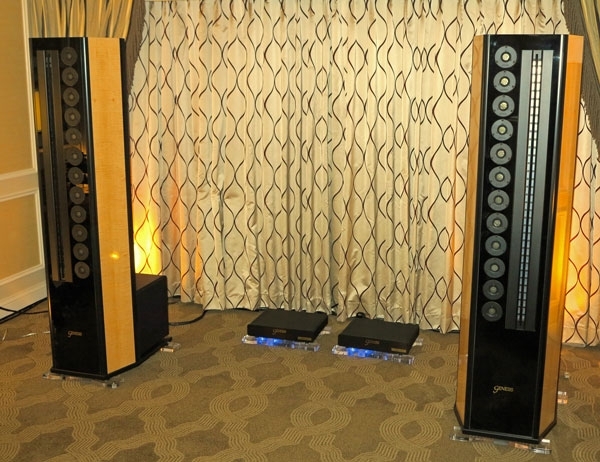 Roy Hall, the master of the "wee dram" (of single-malt Scotch) was demonstrating all this Creek wonderfulness with the Epos K3, three-way, floorstanding loudspeakers ($2395/pair) which, like the Creek gear that he distributes in the US, showcased beauty, charm, fine detail, and of course: a wee bit of drunken revelry. Moon by Simaudio's new Neo ACE ($3500, left) looks and sounds and feels like a 21st-century version of a classic Marantz receiver. 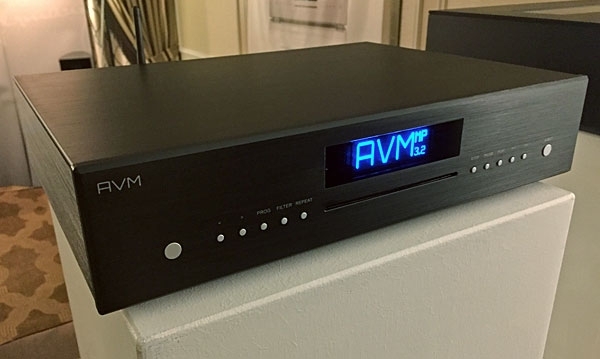 It is a 50Wpc, class-A/B integrated amp featuring Simaudio's MiND (Moon intelligent Network Device) digital library interface, and a high-resolution DAC with DSD decoding up to DSD256 and 32-bit/384kHz PCM. 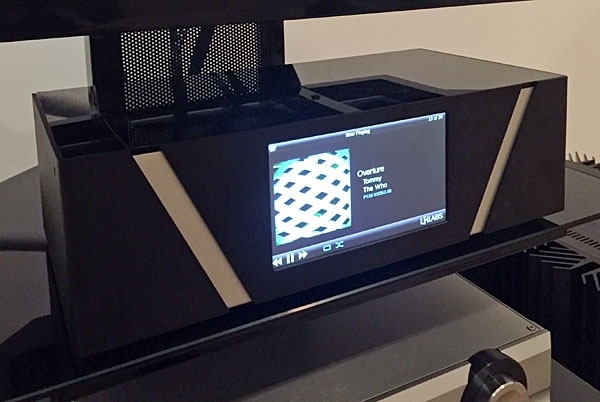 Naim Audio's beautiful Mu-so ($1495)introduced a year agodelivered on both counts, and like its predecessor, Naim's new Mu-so "Qb" ($995) is a 5-driver, stereo 3-way design (300W total power) that plays music with grace and acuity but with a smaller footprint and a lower price. The Qb's cubic volume accented by its beautiful bulging grills just screams Museum of Modernity and Wholesome Futurism. The Earphone Evolution is Now! George Cardas has been making fine-quality interconnects and loudspeaker cables since 1987. 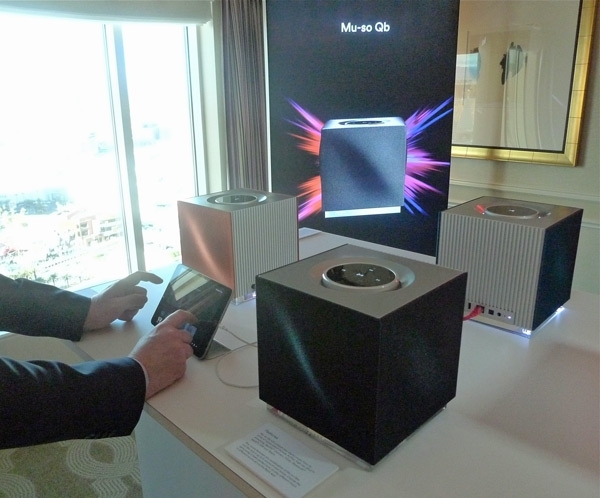 But, in 2009, he saw the future and started experimentinglooking for a technology to create a truly audiophile-quality in-the-ear loudspeaker. 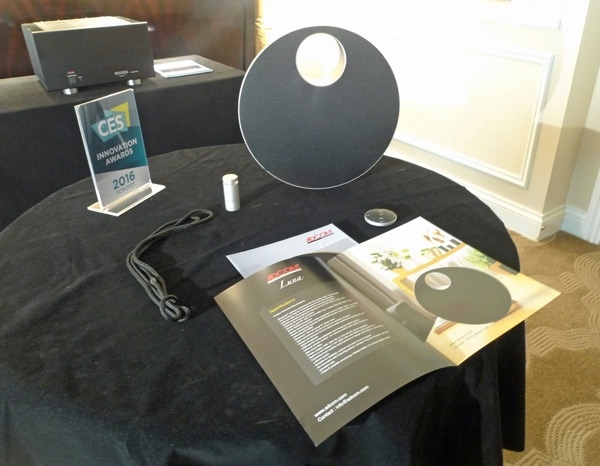 I went to the Cardas room at CES with the hope of experiencing his new prototypes; in-ear phones where the tiny earspeaker driver is positioned deeeeeep into the listener's ear. However, George was not there and neither were the deep-ear drivers. But! 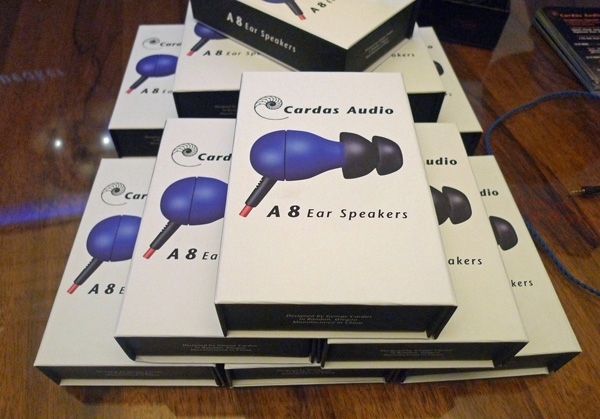 I was able to audition the brand new A8 earspeakers ($299). The new No. 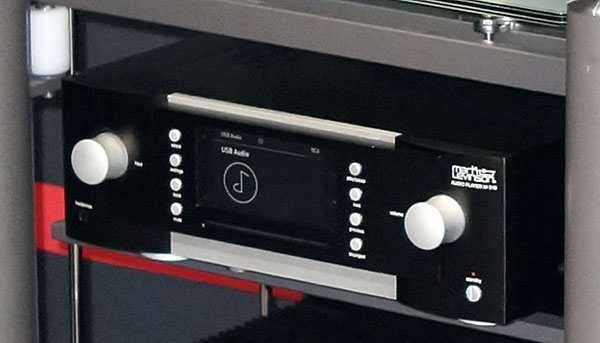 519 is intended to be an all-encompassing source for digital playback and will include not only a CD transport, but also Bluetooth, streaming, network playback, DAC, digital volume control and headphone amp. On the back are AES/EBU, SPDIF, optical and USB inputs as well as ethernet networking jacks. There are both balanced and unbalanced analog outputs as well AES/EBU, SPDIF and optical digital outputs. Proprietor Gavin Fish was on hand to show off LH Lab's latest prototype, the Geek Source (initially started as an Indiegogo project), slated for release this spring at a retail price of around $5,000. There are optional Femto clocks and the Source will handle pretty much all PCM and DSD formats. 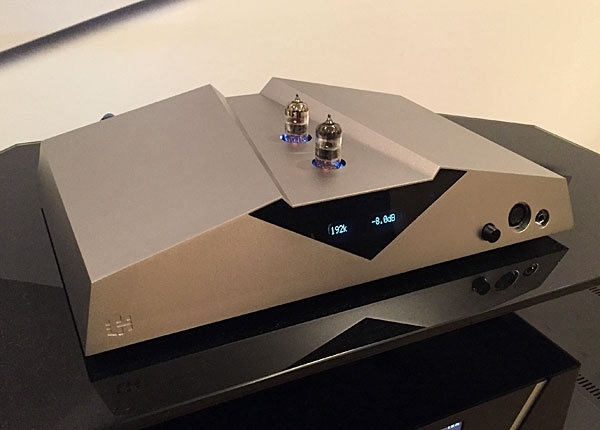 Also on display in the LH Labs room was the long awaited VI DAC, also started as an Indiegogo project, and available shortly via normal retail for $4999 in solid state version, or $6999 with tubes sporting both single-ended or balanced outputs as shown here. Interestingly the tube version still contains the complete solid-state output stage, so you can switch between them. 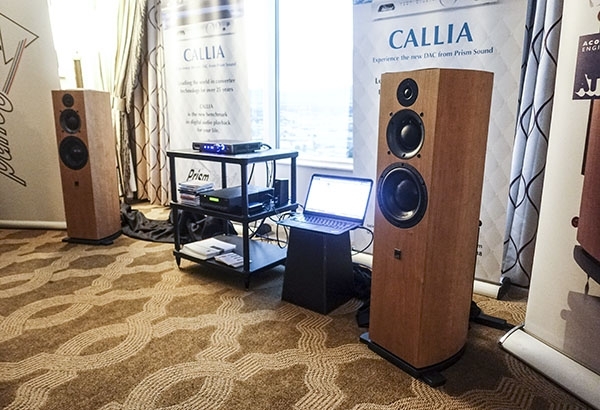 Not having been actively involved in the turntable scene until recently, I found out for the first time about European Audio Team (EAT) at this year's CES. 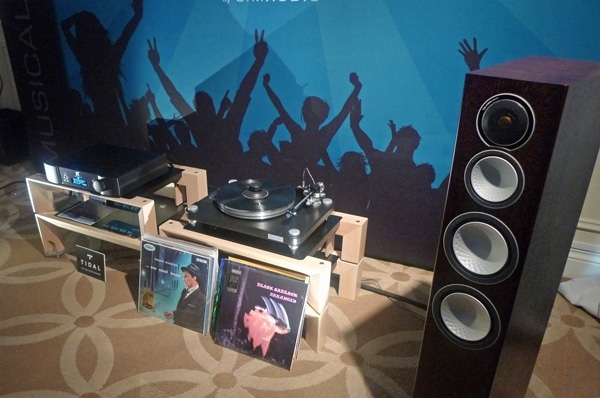 I was intrigued by the look of the various EAT turntables and arms, especially the E-Flat turntable with its flat arm ($4475). 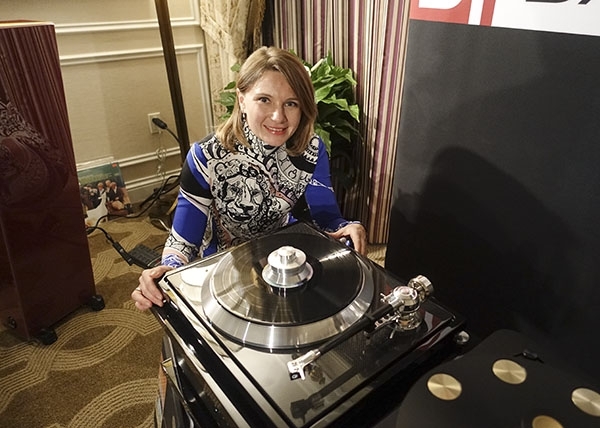 My guess was that the turntable was direct-drive, but the charming Jozefina Lichtenegger, the company's CEO (above), told me that the turntable was belt-driven, with a 35 lb platter.